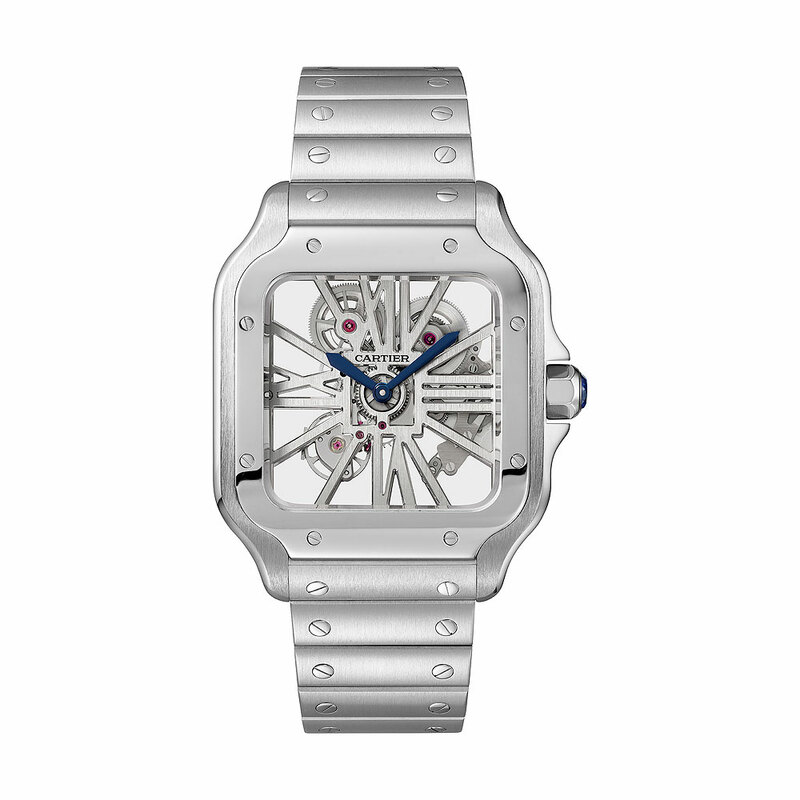 History always plays an important role for Cartier. This is a Maison steeped in iconic pieces, jewelleries commissioned by kings and queens, and stories that bring these pieces to life. At this year’s Salon Internationale de la Haute Horlogerie (SIHH) in Geneva, Cartier chose to relaunch one of their classic timepieces, the Santos de Cartier. This particular watch has an interesting story. It was created in 1904 for aviator Santos Dumont and he wore it on his flights. It is also a historical piece as it’s one of the first wristwatches. This was the era of aviation’s early days, and the public was swept up in the exhilaration of flying. This beautiful watch with its elegant lines may have been more of a gentleman’s watch, but it became popular to the public years later in the 1970s. Not everyone can afford a Cartier, but what if they could? In 1978, the brand addressed that issue by coming out with an affordable sports watch, based on the Santos. This also marked a first for Cartier, as the timepiece was made in steel, previously they only worked with precious metals. 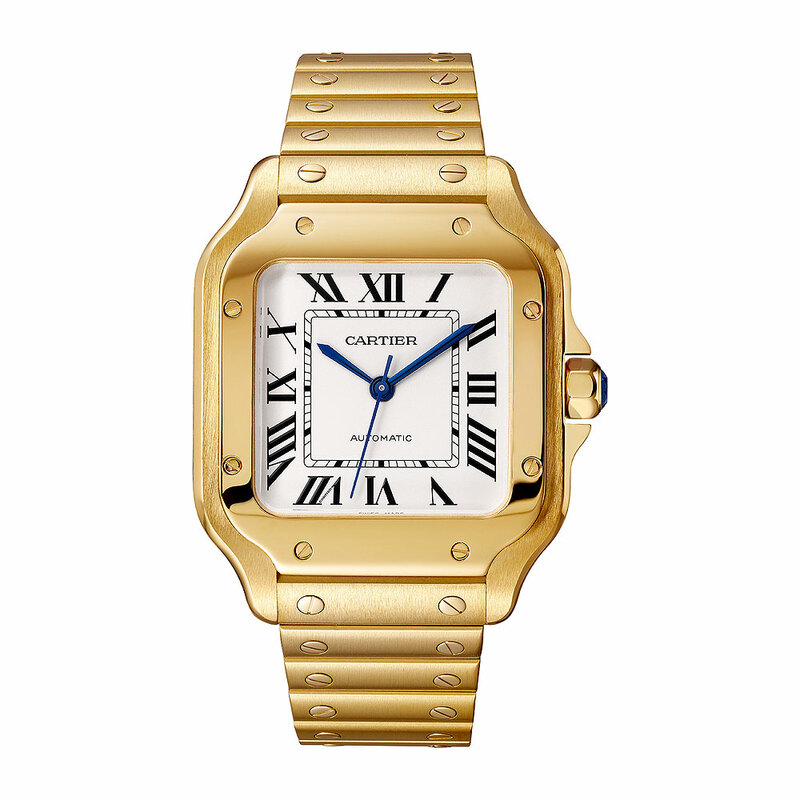 Of course being Cartier, affordable still needs to have a luxurious touch, so gold accents were added and the result was a two-toned timepiece, also something new in the market. Needless to say, the Santos cemented its status as an icon and this year, you can rediscover the latest version of this famous square-case timepiece. So what are the changes? It still retains the square shape that speaks of the refinement and symmetry in the Parisian geometry of that time, as seen in the four angular corners of the Eiffel Tower. The eight screws on the bezel also remain. These were a miniature tribute to the abundant mechanical steel structures associated with the golden age of urban architecture. In terms of design of the bezel, this has been updated with sleeker lines and the timepiece is meant to fit perfectly on the wrist, having been precisely weighted and measured for optimal comfort. 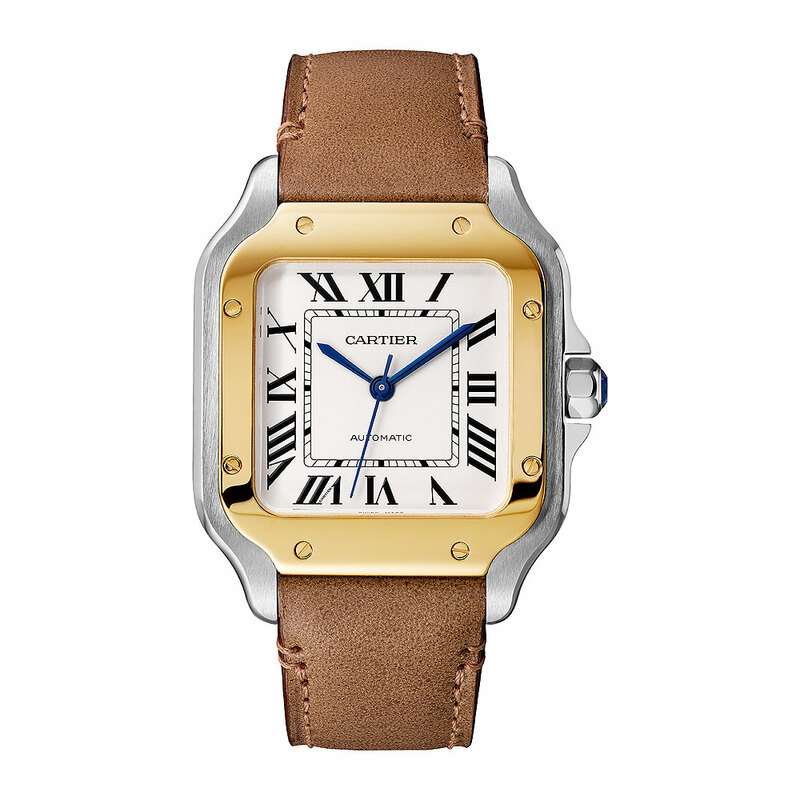 The Cartier Santos de Cartier in two-tone steel and gold on brown leather strap. The automatic calibre 1847 MC features anti-magnetic nickel phosphorus components in the escapement and movement mechanisms. There is also a shield made from a paramagnetic alloy, which renders the calibre resistant to powerful magnetic fields a watch may be exposed to in everyday life. All the timepieces come with a matching metal bracelet, or a calf or alligator skin strap. And the best part is that you can switch the straps with Cartier’s new QuickSwitch system (patent pending) without having to use a tool. The Cartier Santos de Cartier on a rose gold bracelet. 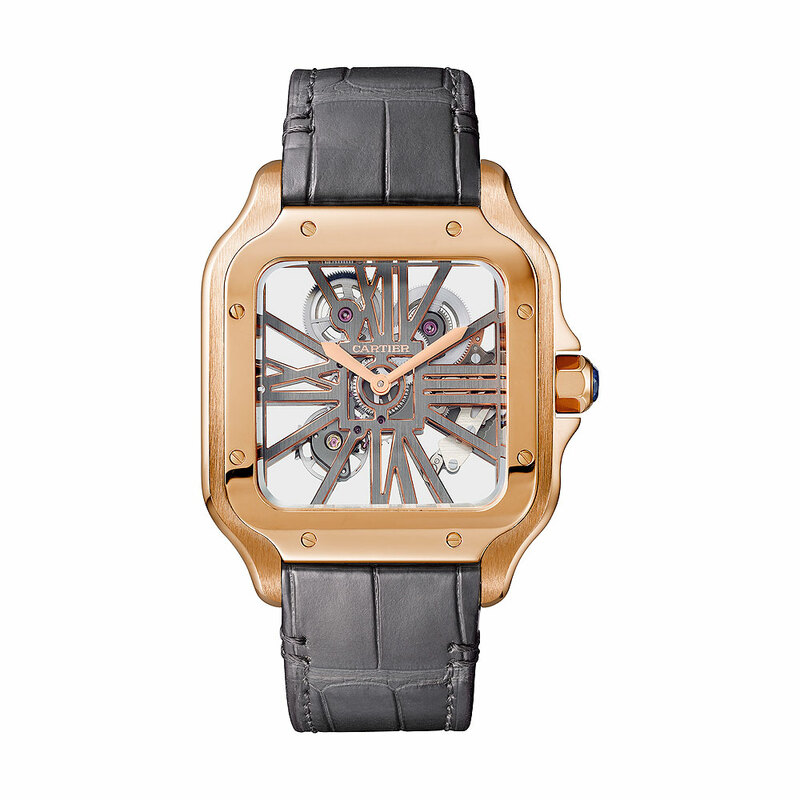 There’s also a skeleton version of the large sized Santos in steel and pink gold. Both of them have matching metal bracelets, and Cartier has come out with a new innovation called the SmartLink self-fitting technology (patent pending). This allows the wearer to adjust the length of the metal bracelet with a touch of a button which unlatches the attachment bar. You can then add or remove a metal link. The Santos comes in two sizes – large (39.8 mm x 47.5 mm) and medium (35.1 mm x 41.9 mm) with stainless steel, pink gold, yellow gold and steel/gold versions. 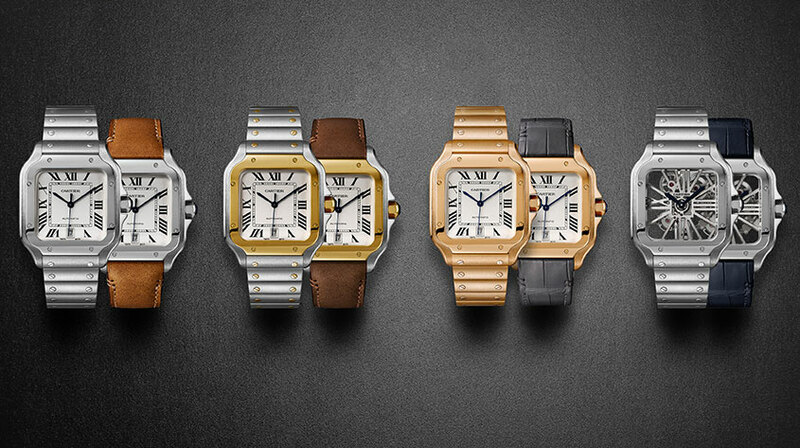 The Cartier Santos de Cartier Skeleton is available in both steel (above) and rose-gold (below). 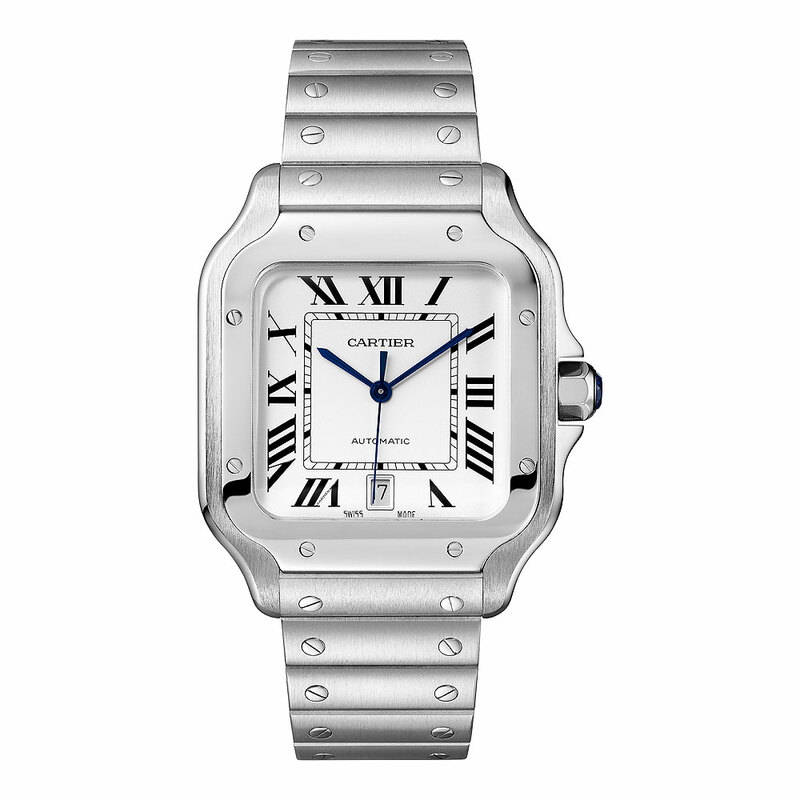 This entry was posted in Watches & Jewellery and tagged Cartier, Santos de Cariter, SIHH. Bookmark the permalink.